Many times, the biggest tax break comes from deducting mortgage interest. As a homeowner, you’re able to deduct interest on up to $1 million worth of debt that was used to purchase or make improvements to your home. Each January, your lender will send you what’s called a form 1098. This lists the mortgage interest that you paid during the previous year. The form should include the amount of interest that you paid from the date you closed on the home through the end of year. 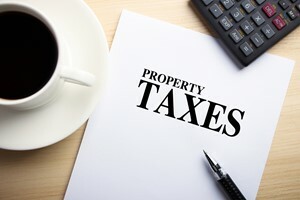 You’re able to deduct the local property taxes that you pay each year from your April tax forms as well. If you pay your property taxes through an escrow account, you’ll receive a statement from your lender. If you happen to pay your taxes directly, however, you’ll need to keep good records. 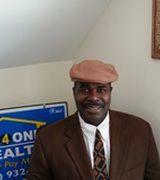 You may have also reimbursed the seller for taxes that were paid on the home in the year you purchased it. This can be be included on your real estate tax deduction form. Payments into your escrow account cannot be deducted, as these are just set aside for future tax payments. If you make a down payment that’s less than 20% of the home purchase price, you may have to pay monthly premiums for mortgage insurance. This is an extra fee that protects the lender if the borrower defaults on the loan. The good news is that these premiums are tax deductible. You should save your receipts for all of the home improvements that you make throughout the year. This can be anything from windows to landscaping to new energy efficient heating systems. While you may not be able to make these deductions right away, if you make a large profit when you sell your home, the IRS could tax you. You’ll want these deductions available to you if this happens to save money. Any energy saving home improvements that you make can give you an additional tax break. You can earn tax credits worth up to $500. Tax credits are more valuable than deductions since credits actually reduce your tax bill dollar-for-dollar. Other improvements work on a percentage-credit based on the cost of the improvements and the type of project that was done.